1Malaysia Development Bhd (1MDB) president and group executive director Arul Kanda Kandasamy said today‎ the debt-laden firm has achieved its target of completing its rationalisation plan within six months. The final step of the plan was completed with the execution of the sales and purchase agreement for 1MDB’s 60% stake i‎n Bandar Malaysia Sdn Bhd for RM7.41 billion, Arul Kanda said at a press conference in Kuala Lumpur. “We had a plan to conduct a strategic review, to conduct a rationalisation plan. “Alhamdulillah, we’ve achieved what we said we would achieve by way of executing legally binding agreements for the debt swap, the Edra sale and also Bandar Malaysia,” he said. 1MDB’s debt stands at RM42 billion, according to its latest financial audited accounts published on March 31, 2014. The purpose of the rationalisation plan, which was first presented to the Cabinet on May 29, 2015, was to reduce the debt within six months. Arul Kanda said the first step in the rationalisation plan was achieved through the debt-for-assets swap with International Petroleum Investment Company (IPIC), which reduced 1MDB’s debt by RM16 billion. The second step was completed with the sale of all its energy assets. 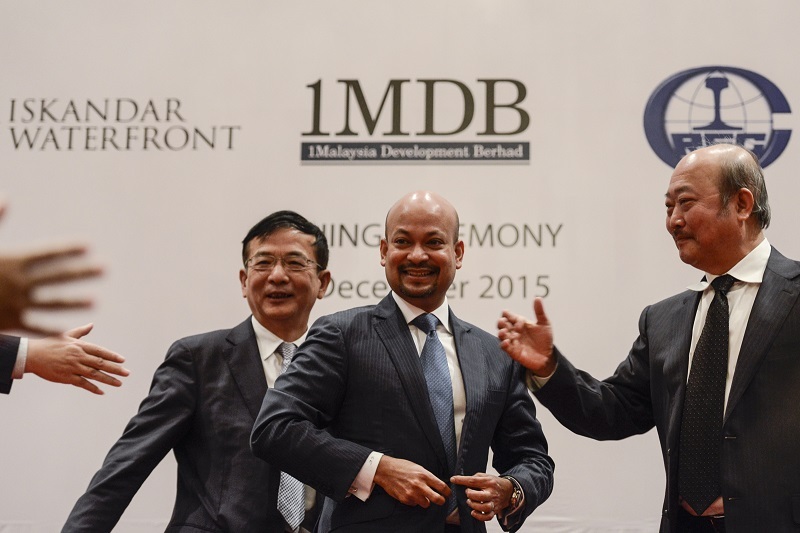 1MDB initiated the sale through the execution of a share sale and purchase agreement on November 23. The sale will reduce its debts by up to RM17 billion once the transaction is completed by February next year. “And now, on the last day of the year, the end of the six-month period that was promised by the honourable prime minister of Malaysia, Datuk Seri Najib Razak, we have achieved the final piece of the puzzle,” said Arul Kanda. The consortium purchasing the 60% stake in Bandar Malaysia has valued Bandar Malaysia land at RM12.35 billion – more than Arul Kanda’s previous estimation of RM11 billion to RM12 billion. However, Arul Kanda did not elaborate on 1MDB’s future plans, saying that the press conference was restricted to the agreement inked today.